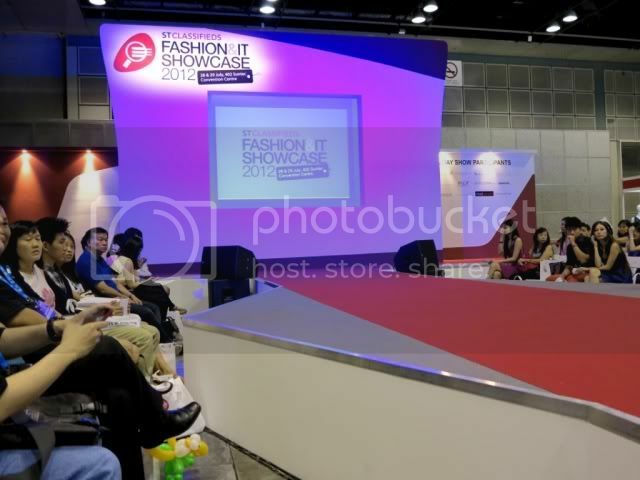 Over the weekends, Suntec City was very happening because of the first STClassified Fashion & IT Showcase! 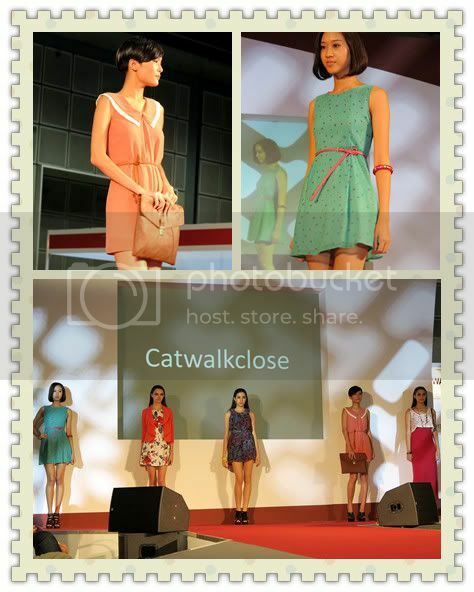 This event is a congregation of local designers, premium online retailers and your favourite blogshops. Thankful for STClassified for supporting local businesses! 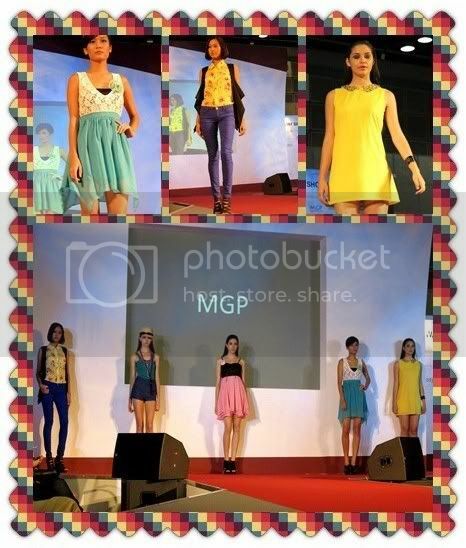 I love fashion and I'm a IT student; with this 2 combined, it is the perfect event for me. 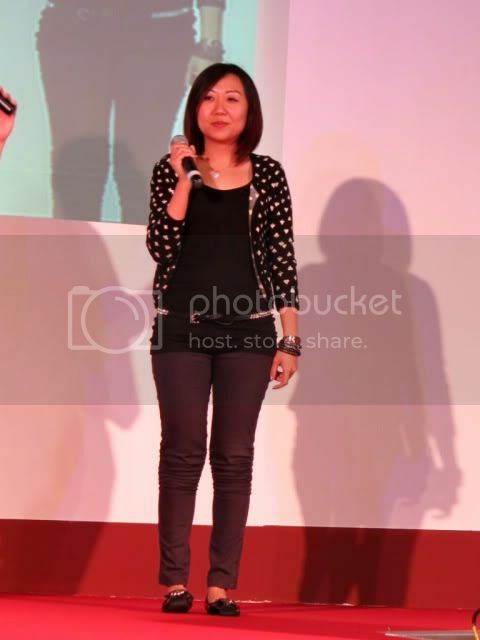 :D My love for fashion is stronger so I'll be posting more on that! Fashionistas alike, are you all ready? Then let's go! 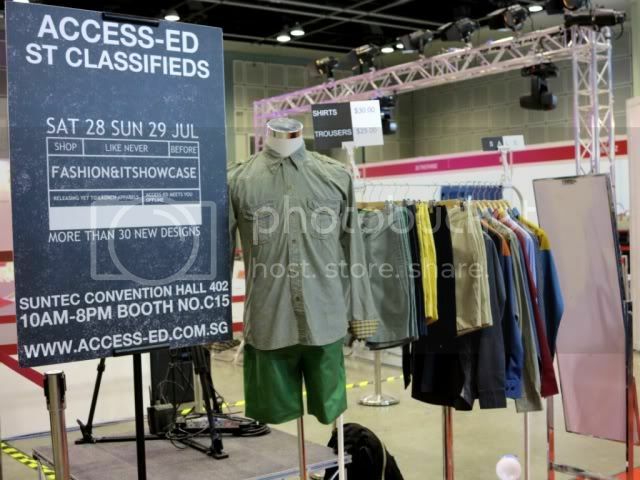 A very important booth that day was the STClassifieds' booth! This is the place where you can direct your queries and drop your lucky draw coupons at. 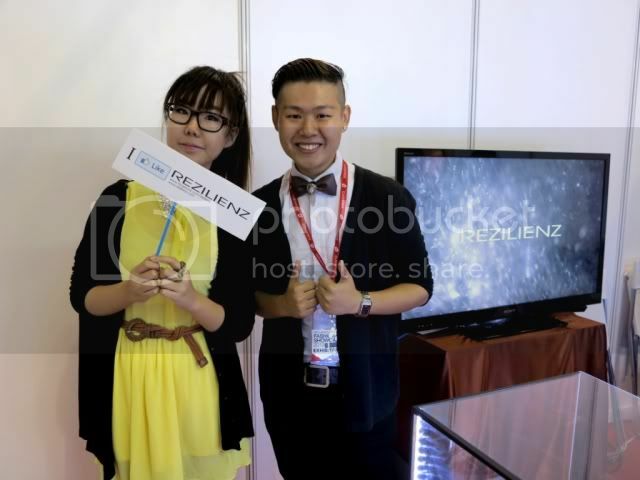 There were a lot of Macbooks there where people can log on to the website (http://events.stclassifieds.sg/showcase2012/). Thankfully, there were a lot of friendly staff there to help me that day! Log on for what, you ask? Well, you can take a look at what the whole event is about, what segments and highlights you can look out for. You can also look out for hot deals at my favourite part of the website - the Fashion & IT specials! 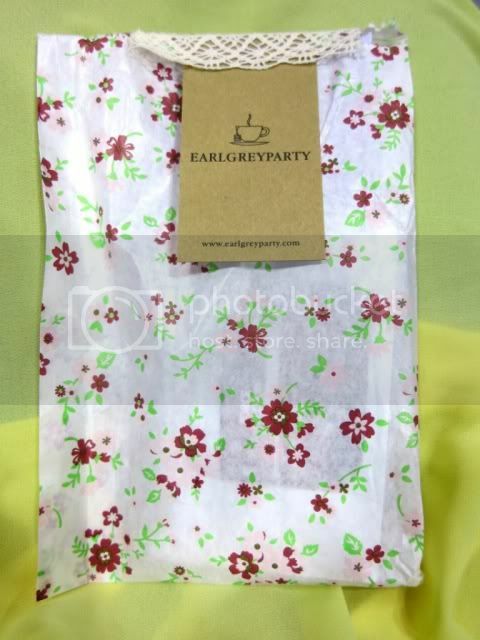 I bought a really pretty dress from Earl Grey Party for only $9.90. CHEAP OR CHEAP YOU TELL ME!? This was how the exhibition roughly looked like when you first step in. 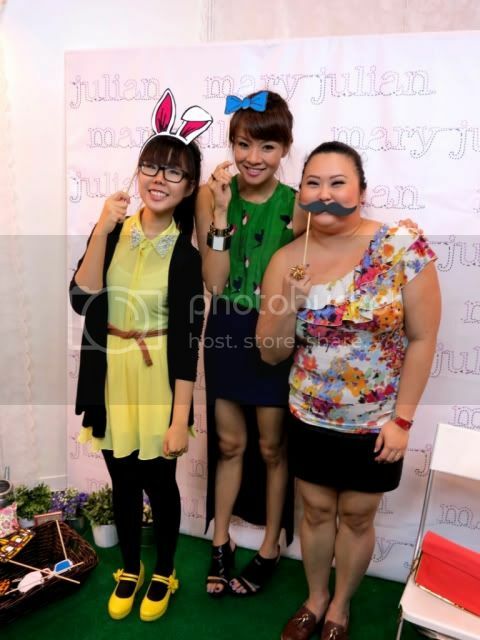 There were so many pop-up booths, mostly from online websites and local designers, that I was so spoilt for choice! But of course, this was only a small part of the whole exhibition. Thirsty? 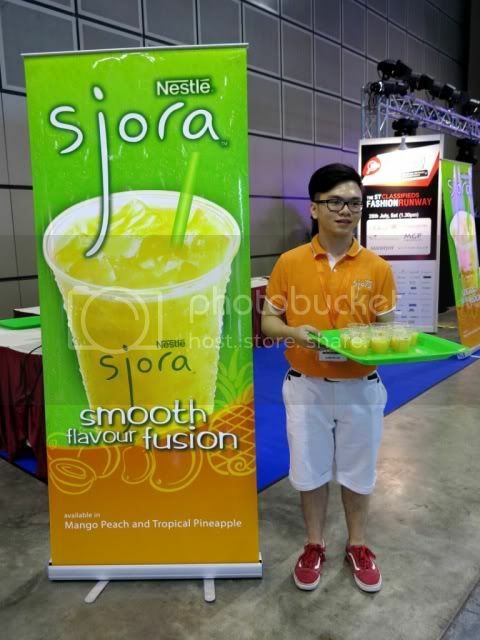 Thankfully, the awesome people from sjora were giving out free drinks for those who want to quench their thirst! I took cups after cups of their mango peach flavour (buay paiseh hahahaha!) because it's my favourite drink ever since it first launched. It's so refreshing and yummy, how can anyone not be tempted to crave for more? 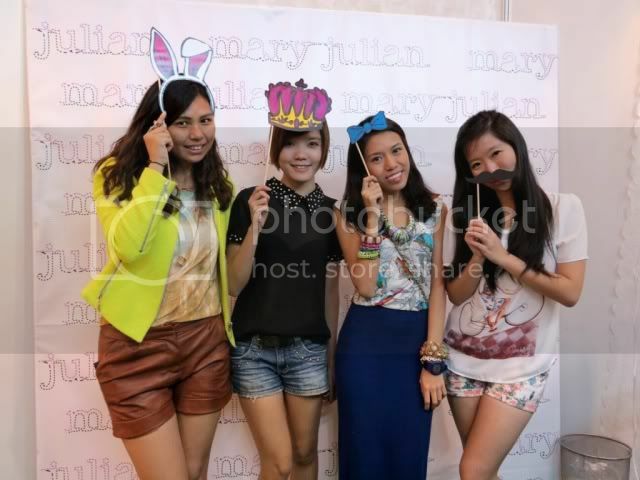 The first pop-up booth I visited was maryjulian's! 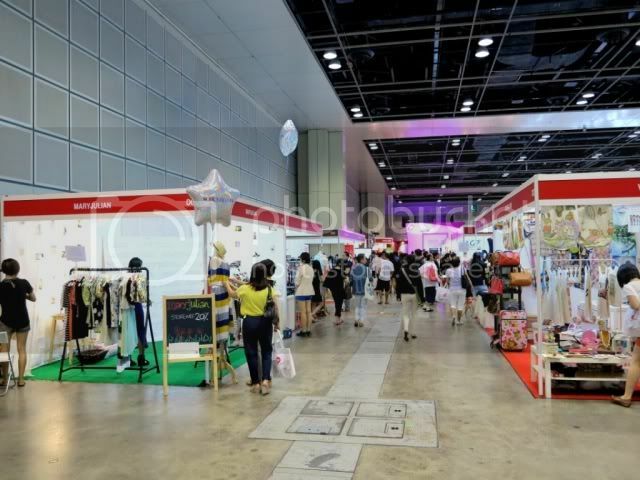 Their booth is located right at the start of the exhibition, really easy to find. 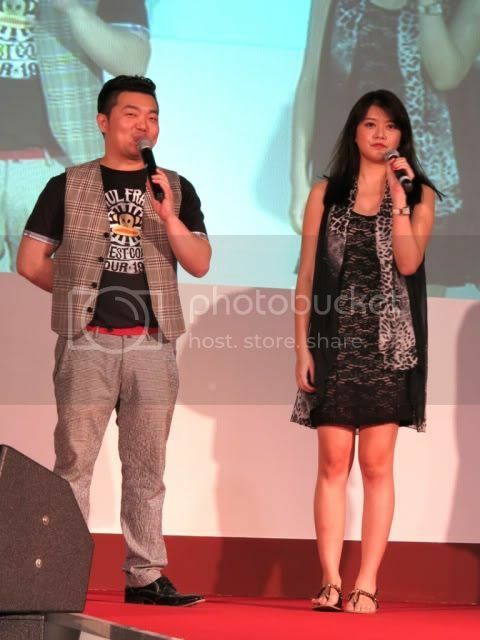 Not only do I love their clothes, I adore their staff too! They are so friendly and sporting in taking pictures. :D Oh yes, they are also the only booth with a picture booth. 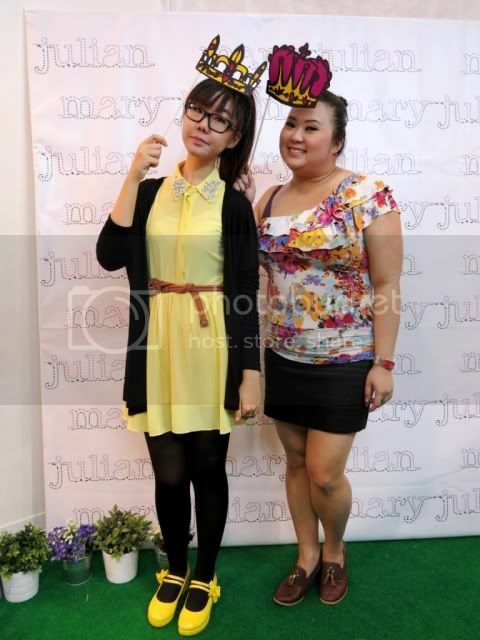 So thoughtful of them to prepare a lot of ready-made props for customers to quirk up their pictures. 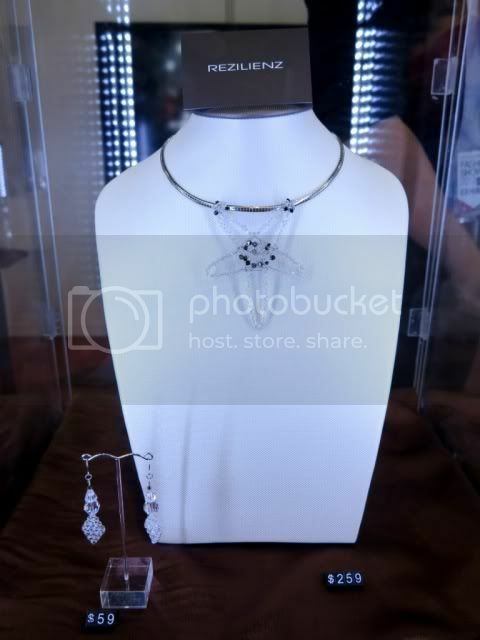 This necklace was one of the many pieces that caught my eye! With the man behind the brand. Everyone, meet Jeron! He is incredibly talented, and has been designing jewellery professionally way back in 2006. 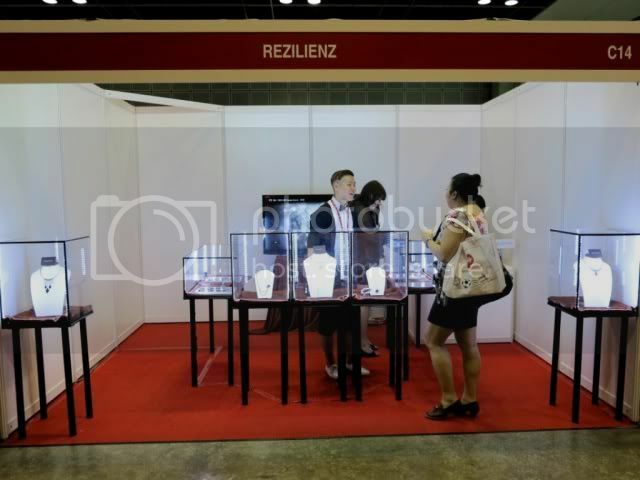 I saw some of the latest collection on the Rezilienz website, and I must say that I fell in love with them all! If you're interested, you can visit http://www.rezilienz.com/ and get awed too. 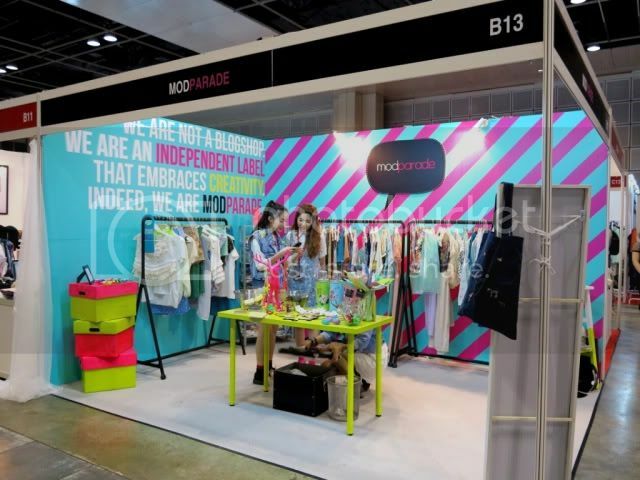 One of my favourite pop up stores was definitely Modparade! I love how colourful and loud the whole booth is. Their pieces are so unique, which was what drew me in even more! Everyone just LOVED the accessories there. They are quirky, edgy, and definitely creative. I feel like buying all of their stuff! You can visit them at http://modparade.com/. Next up, another favourite brand of mine is Revasseur! 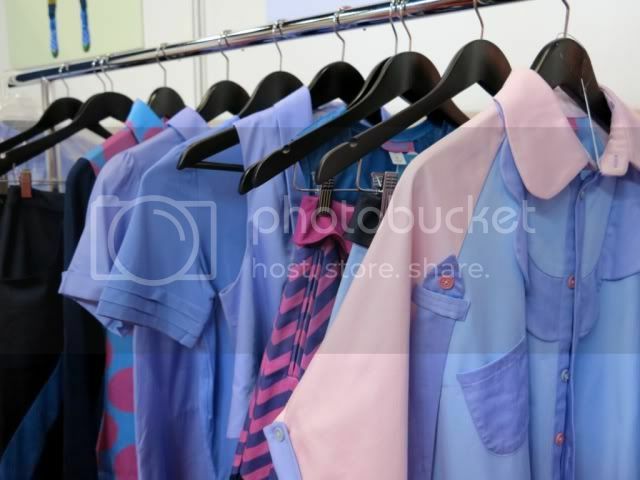 When I first looked at the clothes in the booth, I was shrieking "OMG LIKE LIKE LIKE x MILLION TIMES!" inside of me! 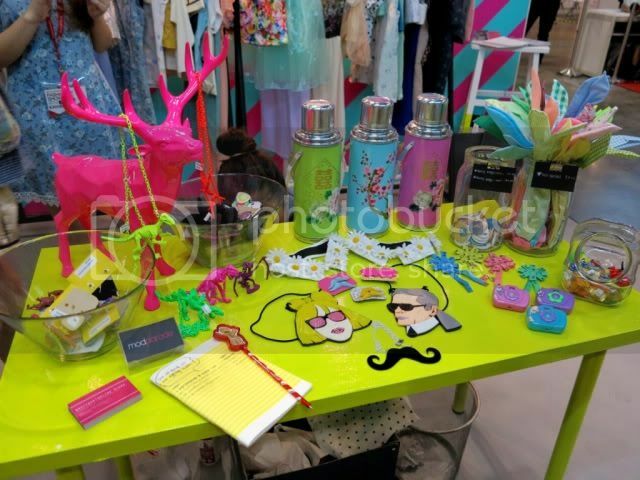 Stated on their Facebook page (https://www.facebook.com/revasseur): "RÊVASSEUR is a mix of whimsical and avant garde designs, with strong silhouettes, a play on textures and prints, and some down-right outrageous OTT novelties. 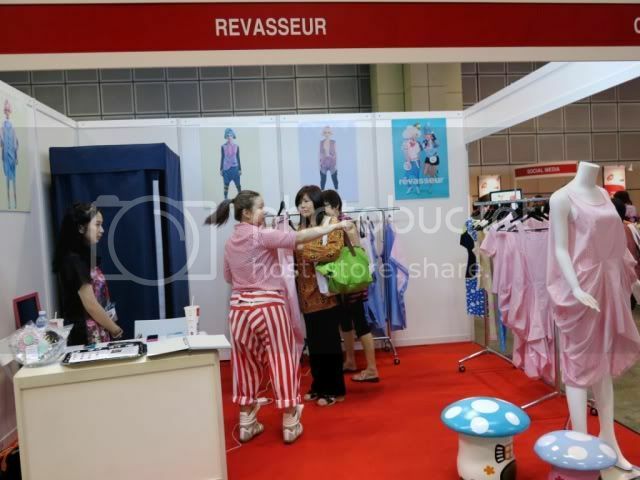 RÊVASSEUR, which means ‘daydreamer’ in French, aims to bring "fun" back into fashion, to encourage its wearers to experiment and to make a statement with a personal style that is uniquely theirs." 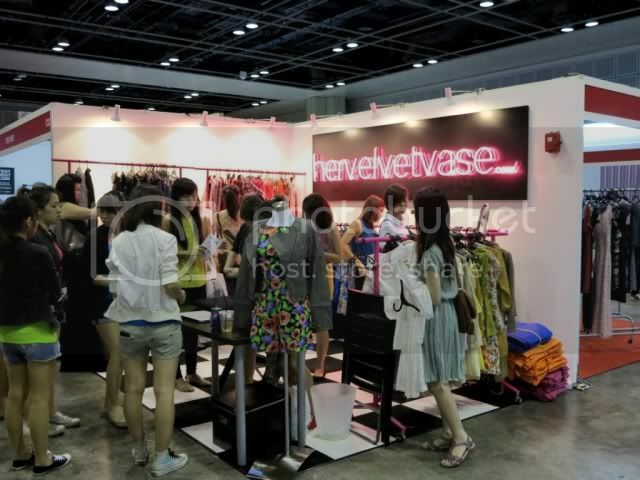 One hot favourite booth was hervelvetvase! You can visit them at hervelvetvase.com. ......... 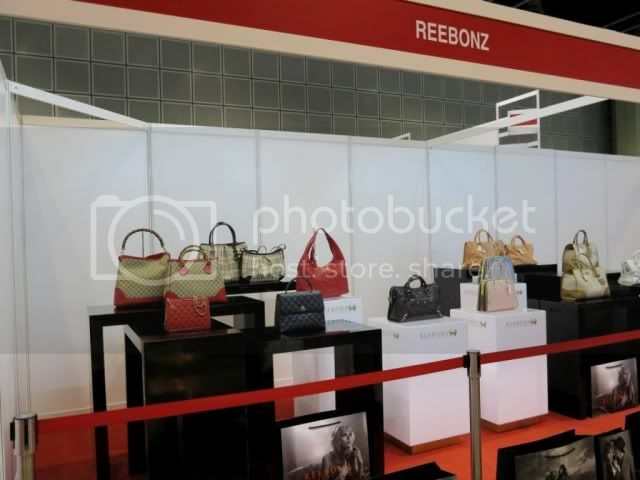 They are all branded designer bags! For the guys, don't worry, nobody forgot about you! 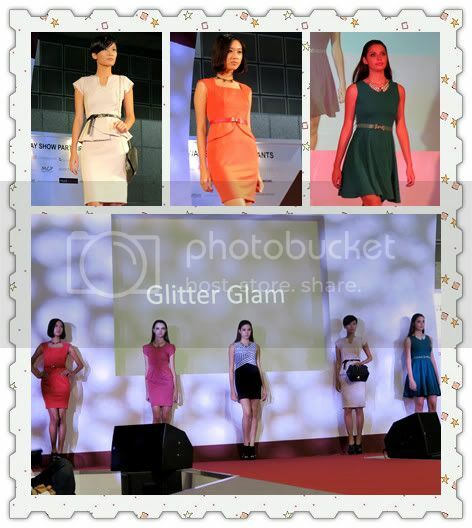 I went down to the STClassifieds Fashion & IT Showcase Runway Show on Saturday. Here's what you've missed! Run by the Zhou sisters Lucinda and Jolene, Ohvola's apparels are dainty, sweet and feminine. Not forgetting to add that they are uniquely designed and exclusively manufactured. 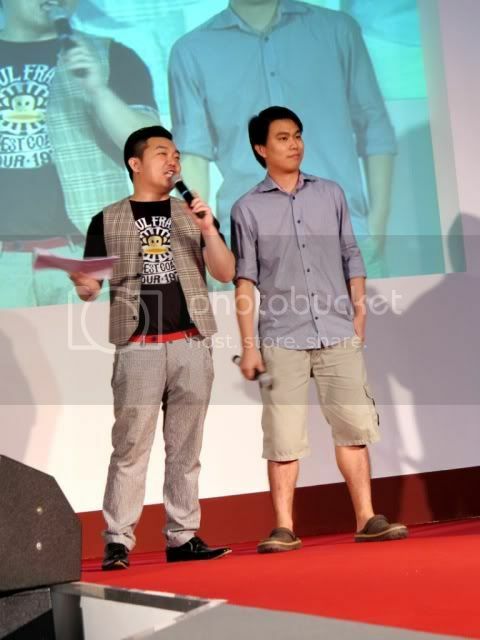 It's amazing how their old livejournal platform evolved into a e-commerce website with thousand of customers now! Owners of the different runway participating brands were invited up on stage to share with us more about their journey to where they are now. Their pieces are very high fashion, and they bring out the right curves in a woman! If you've got it, flaunt it with Montrose Desires' clothes! My Glamour Place is trendy, stylish and elegant. 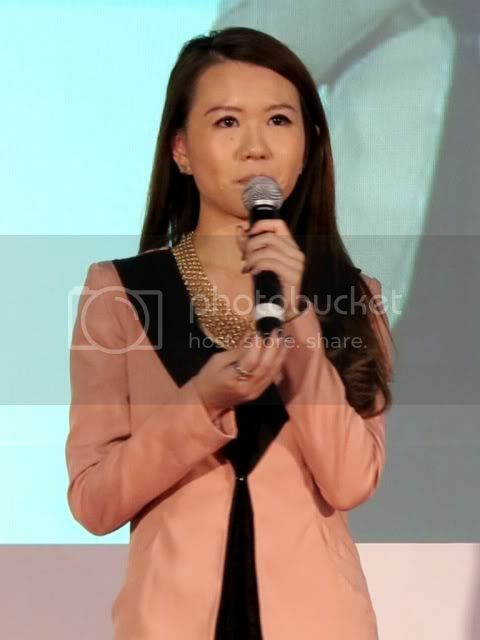 They definitely redefine feminine with their sweet-looking pieces that my mum would approve of me wearing! 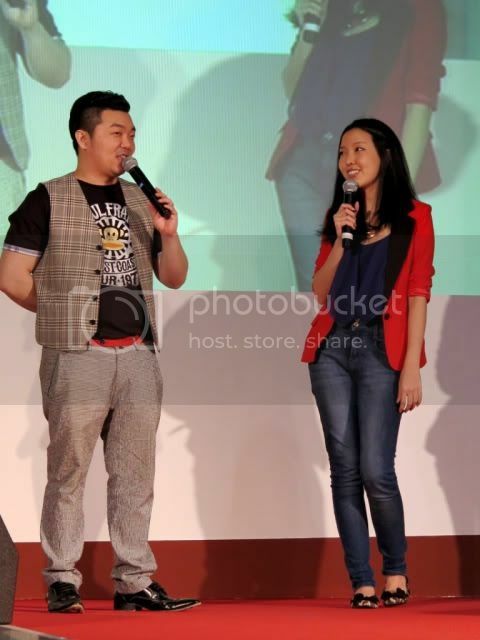 At SandyJoy, they believe in comfort clothing, and I like that! It's very important for you to look good and feel good at the same time. 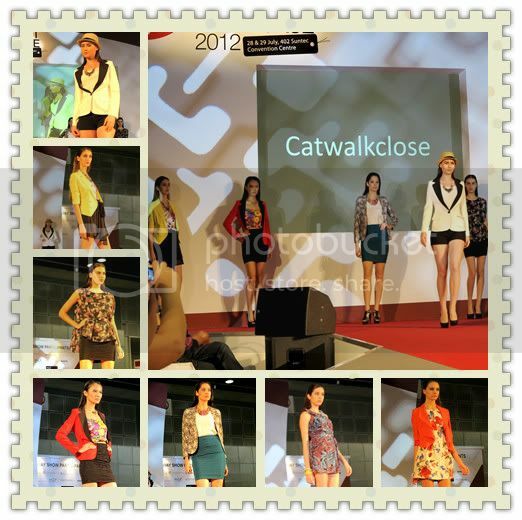 At Catwalkclose, you can find a wide range of clothes that you will be spoilt for choice! 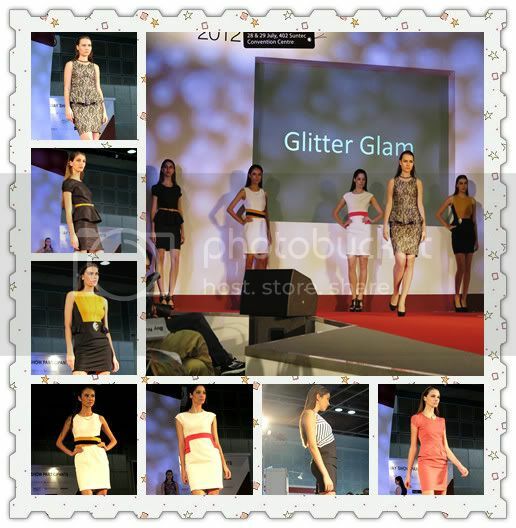 Glitter Glam takes conventional work wear on an exciting fashion edge, letting women exude confidence in silhouettes that eccentuates their curves.